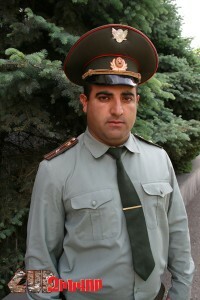 Major Kheder Mirzoyan was born on April 8, 1983 in Yerevan. After completing school he was admitted to Omsk Tank Engineering Institute. In 2005 he was appointed as deputy on arms, afterwards – commander of company of tank battalion, deputy on armaments of artillery battalion. 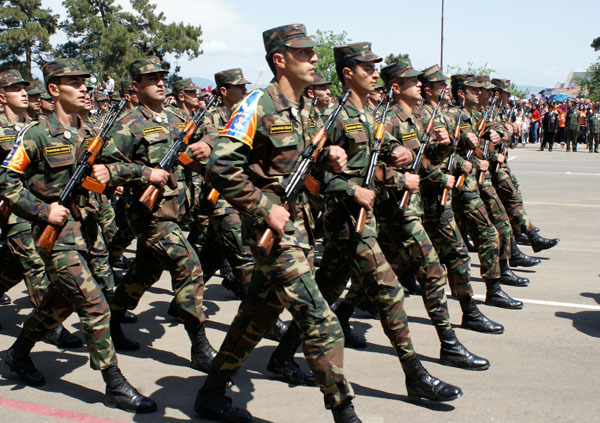 Since 2012 he is the head of service of the regiment which is under the command of Colonel Ashot Ghazaryan. On May 8th the Day of Yerkrapah (country defender) was celebrated. 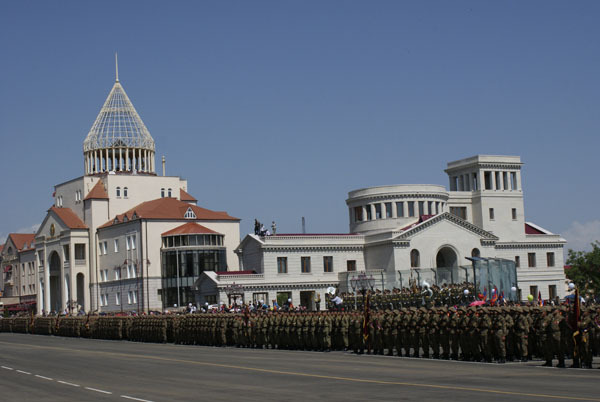 Festivities were held not only in Yerevan, Stepanakert, in the regions of Armenia and Artsakh, but also in Diaspora. 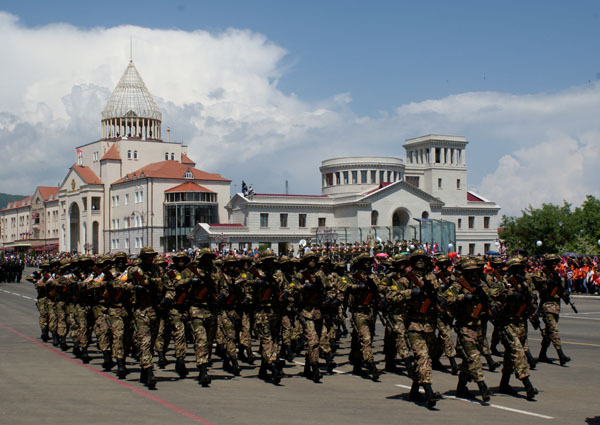 This year for the first time in the Holy See of Echmiadzin and other dioceses of the Armenian apostolic church a liturgy was served for the souls of the victims of the liberation war. 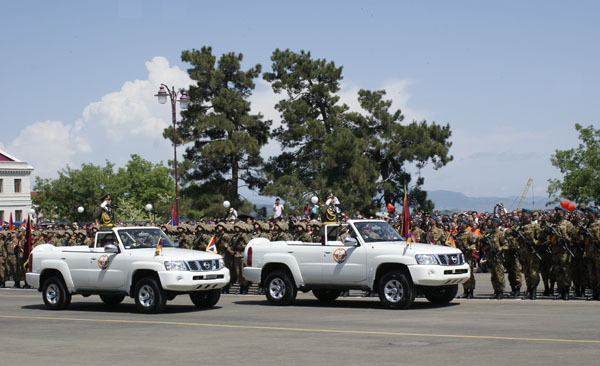 On the occasion of the festival on the decree of the RA President 20 liberation warriors were awarded the highest state awards, and on the order of the Defense Minister 20 were awarded departmental medals, and almost 5000 people were awarded awards, medals and valuable presents from Yerkrapah Volunteers Union. 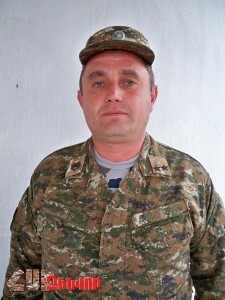 He was born in 1977 in Askeran. 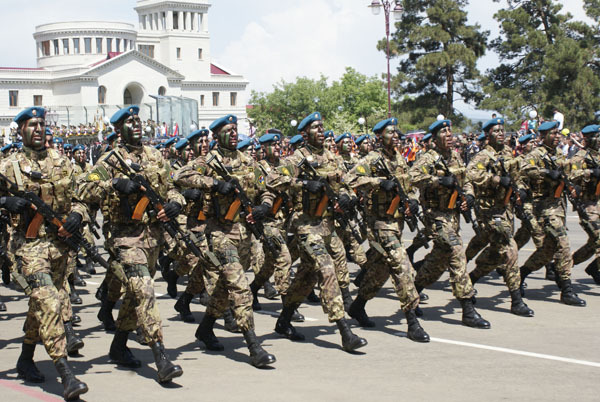 Participated in military actions. When he was 12, he took weapon and protected his town. After the ceasefire got the profession of a tankman, afterwards studied at the Officers School, at the University of Management. 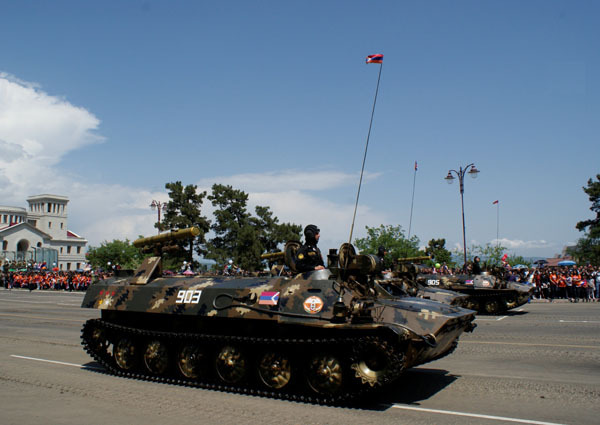 In the tank regiment he hold the positions of platoon commander, company commander, battalion chief of staff. Was awarded medals, other awards. 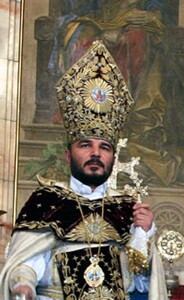 Many centuries Armenian nation and the Armenian church have fought to protect our unique spiritual and cultural heritage. We respected also spiritual and cultural uniqueness of the neighboring nations. However there are sects which pose a danger. There are also some anti-religious organizations, social groups which pose a danger. Emo, Gots, satanists, anti-christs belong to those organizations. Majority of them pose a danger when their representatives serve in the army, since for them life is not worth. The culmination of their ideology is suicide. 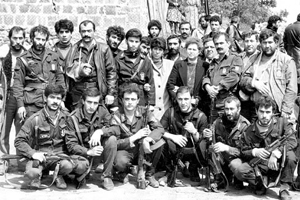 WHY IRAN DOES NOT RECOGNIZE THE ARMENIAN GENOCIDE? The visit of EU High Commissioner Catherine Ashton to Iran, her visit of the Armenian Church and Genocide Museum in Isfahan spawned a great wave of protest in Iran’s Azeri-populated regions. However, I think, this is a sign which shows that Iran is with us.